‘Junior MasterChef Pinoy Edition’ Top 20 finalist revealed! ABS-CBN’s kiddie cooking show “Junior MasterChef Pinoy Edition” finally revealed the names of the Top 20 contestants. The young contestants, aged 8 to 12 years old, will compete against each other to win the country’s first “Junior MasterChef” title. Judy Ann Santos announced the names of the 20 finalists in the episode aired last Sunday. 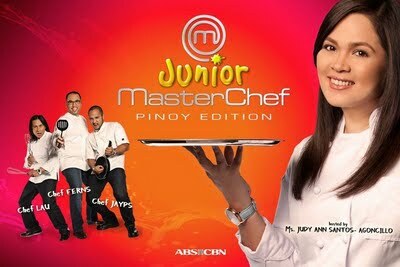 “Pinoy Junior Master Chef” is the local version of hit reality cooking competition for children “Junior MasterChef,” which first aired in Britain in 2010.